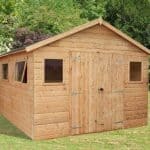 The Billyoh Traditional Economy Wooden Garden Shed is an attractive and practical shed which is perfect for those looking for a simple shed on a budget. Due to its smaller 5x3ft size, the economy shed is great for smaller gardens or those households with less to store. 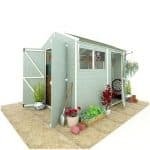 The BillyOh Classic Economy Apex shed is a popular “starter” choice among gardeners, affordable yet attractive and it is an excellent example of an overlap shed. Manufactured from lightweight wood with overlap cladding and complete with a window, it is extremely easy to assemble. 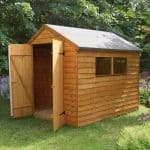 One of our all-time favourites, this type of garden shed is perfect for all your gardening equipment and will keep everything clean and dry. It is definitely an attractive addition to any style garden and can be painted to your own specification or left in its raw state, either way it will always look smart. 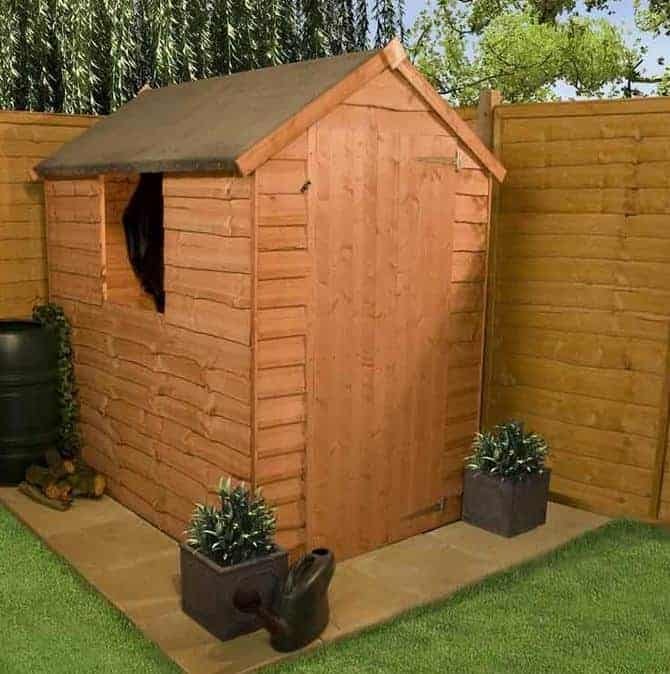 The waney edge wooden cladding provides a rustic appearance that will help the shed blend effortlessly into your garden. With a 5x3ft shed interior, storing those essential outdoor and garden items is easy. From garden tools to bikes and a lawnmower, store them on the shed floor or add extra storage space with shelves. Buying an economy shed is usually a straight-forward process as most brands have a no-frills shed option. 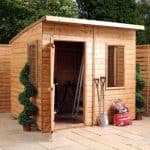 However, you may still have a certain size of shed or budget you are wishing to stick to. In this section, we have a look at this model of shed in more detail to aid you in the decision making process and help you make an informed purchase. Exterior: The shed exterior has a rustic appearance due to the waney timber boards used for construction. 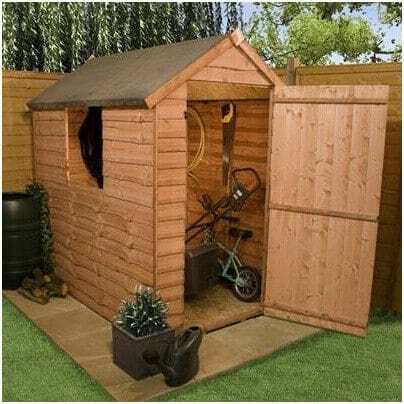 This traditional looking shed will blend into any garden effortlessly. 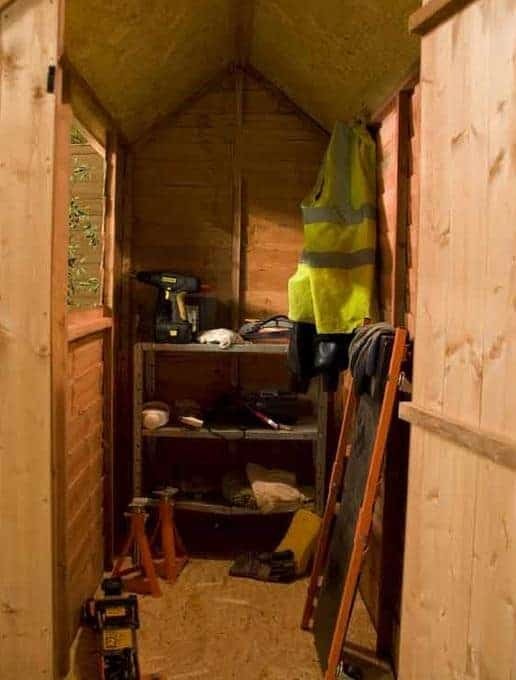 Interior: The shed interior measures at 5x3ft and although not big enough for larger items such as garden furniture or larger toys, it definitely provides adequate space for those wishing to store their essential outdoor items in one place. Door: The door is a single door and is large for the size of the shed. Accessibility is not a problem and storing and removing your items is easy. Window: The window is a fair size and lets a lot of light into the shed interior, creating a nice environment inside. The window is fixed and therefore does not open, meaning ventilation may be an issue, however fresh air will circulate every time the door is opened. Security: Although the economy shed does not come with any security fittings installed, a padlock and hasp kit may be purchased separately, as an optional extra, at a modest price. Billyoh Traditional Economy Wooden Garden Shed: How easy to build? The Billyoh Economy Shed has a simple structure with no complicated features to navigate during assembly making the process straightforward. Although this particular model is on the small side, it is the manufacturer’s recommendation that two people work together on assembling the shed due to the large panels and for safety reasons. A set of tools will be required but all of the panels, roofing, fixtures and fittings needed for easy assembly will be provided within the flat-pack package. We expect that this shed could be built within an afternoon for those with a basic knowledge of DIY. Billyoh Traditional Economy Wooden Garden Shed: What is the overall quality like? Billyoh is a British company that designs and manufactures high quality outdoor and garden sheds and summerhouses. The Billyoh Economy wooden shed is a great example of a traditional shed that is not feature-rich but will last for many years to come due the high quality construction and design. The waney edge overlap of the cladding makes the structure sturdy and built to last. Your items will be protected from the elements as well as damp, rot and mould. They will be kept dry and secure throughout the seasons and will remain in excellent condition. Applying a treatment to the shed exterior is recommended to provide further protection from the elements. Painting the shed is an optional extra, either to match existing garden furniture or to create a unique feature in your garden. 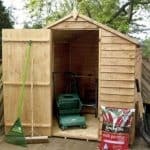 The Billyoh Economy Wooden Shed is a no-frills shed with lots of potential for storing all of your garden and outdoor items. At 5x3ft, the interior will hold all of your essential items, including larger items such as a lawnmower or bike. 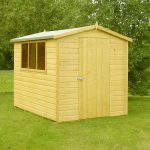 Even at this fantastic price, cheaper sheds can no doubt be found, however the Billyoh quality is worth the extra money and will ensure this shed is standing in your garden for many years to come.